Our Grimsby store is located on the very busy Victoria Street South and has been serving the good people of Grimsby and Cleethorpes for over ten years. We have hundreds of items in the store including a fully working stairlift demonstration unit for you to try and much, much more. Nick and Sue extend a very warm welcome to all their customers old and new. We look forward to you coming into our store for friendly, helpful and professional advice. 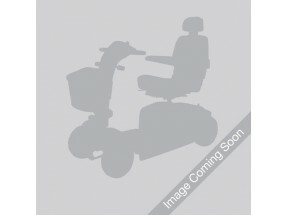 We have 16 used mobility scooters that are available to view at our Grimsby store. Eden Mobility have been providing mobility scooters in Grimsby and the surrounding area for many years. Come on down to our store on Victoria Street South and see our range for yourself. We have a variety of small, medium, large and executive style scooters available to you can rest assured that we have something available to suit your requirements. Our store on Victoria Street South has a selection of powerchairs available for you to come and see. Come on down today and see them for yourself - we have powerchairs to suit any requirements including compact portable chairs and heavyweight powerchairs. If you are looking for a rise and recline chair in Grimsby - come on down to our store on Victoria Street South. We have a selection of high quality, comfortable chairs available that all feature a whole range of different features. If you are from Grimsby or the surrounding area and you are looking for a stairlift then Eden Mobility may be able to help you. We can supply and install straight and curved stairlifts to almost any staircase. Come in to our store on Victoria Street South and see our live demonstration today! Eden Mobility can provide wheelchairs in Grimsby and the surrounding area. Visit our store on Victoria Street South today and see the range that we have in store - we have wheelchairs available for a variety of requirements including folding lightweight and heavy duty chairs.